As experts in veterinary dental care, the staff at Gentle Care Animal Hospital offer this wisdom: The mouth is a mirror to the body. Healthy teeth and gums are indicative of a healthy, well-cared-for pet. 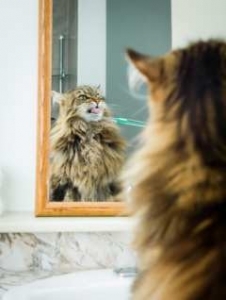 Neglecting dental hygiene in your pet has serious consequences, leading to such problems as systemic infections and heart or kidney disease. An annual exam and teeth cleaning is recommended for most adult pets to maintain optimum health and enhance longevity. We provide skilled pet dentistry for every patient, with the most advanced technology and surgical techniques. Our dental program includes full-mouth dental X-rays and cleanings performed by a veterinary technician specialist in dentistry. Every patient is treated with compassion, providing anesthesia to reduce the risk of injury or trauma and closely monitoring the patient throughout the procedure—monitoring is not complete until the procedure is complete and your pet is alert and fully responsive. Gentle Care Animal Hospital stands out from other veterinary facilities because of our education and support of pet owners in the care and maintenance of their animal companions. Aside from our superior pet dental care program, we offer training and guidance in home dental care to every pet owner, from dietary choices to basic cleaning techniques and products. Gentle Care offers the following answers your most frequently asked questions about pet dental care. But please understand, these are only general answers. Allow us to explain how our dental care professionals can meet your pet’s needs at your next visit, or contact our office to schedule a dental appointment your pet.